Coldplay fans rejoice: Mylo Xyloto is finally out. The album, released worldwide on Tuesday, is Coldplay's fifth studio album. The British band is currently in the middle of a mini U.S. television tour. Last Friday, the band appeared on The Today Show, performing classics and songs from the new album. The band is scheduled to perform on The Ellen DeGeneres Show on Oct. 27, before appearing as the musical guest for the Nov. 12 episode of Saturday Night Live. Mylo Xyloto has some big shoes to fill. Coldplay's last album, 2008's Viva la Vida or Death and All His Friends, went on to sell more than 9 million copies worldwide. X&Y, A Rush of Blood to the Head and Coldplay's debut Parachutes have sold 11, 12 and 7.5 million copies, respectively. Here are five things to know about Mylo Xyloto, out now. 1) Pop-Up Coldplay. Along with the usual CD, vinyl and iTunes version of the album, Mylo Xyloto will also be released in a special limited edition pop-up version. While fans won't receive it until December, the wait is worth it. The pop-up album literally contains pop-up art of graffiti designs, exclusive photographs of the band, excerpts from personal notebooks and other treasures. 2) The Wire connection. Parts of Mylo Xyloto were actually inspired by the HBO series The Wire. 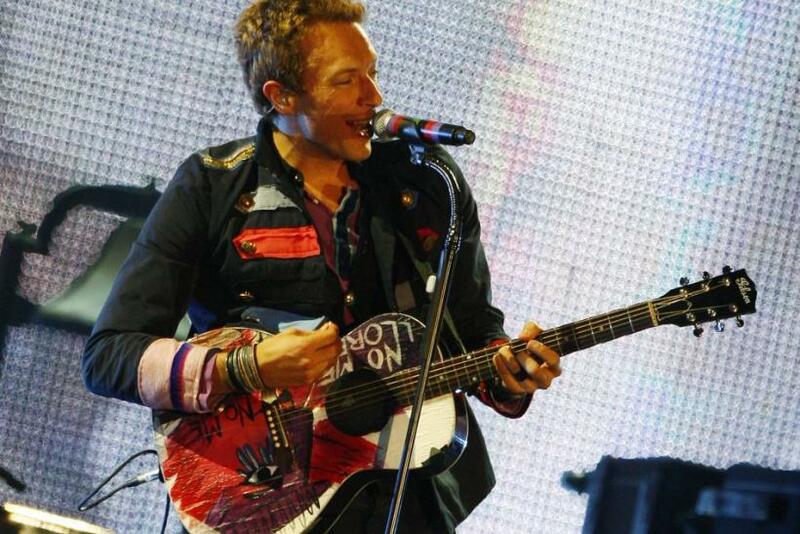 In a recent interview, lead singer Chris Martin cited old school American graffiti and characters and plotlines from The Wire as inspiration, according to BackPage magazine. While The Wire aired to low ratings during its live run, the show has since gained a cult following. 3) Rihanna. One of the best and most reviewed tracks of the album is Princess of China, Coldplay's collaboration with Rihanna. It's unclear why the band chose to have Rihanna as the only guest, considering their past work with hip-hop guru Jay-Z. Her bit on our record is my favorite bit . . . when the song came out, it sort of asked her to be on it, Martin explained to MTV in September. 4) The return of Eno. Mylo Xyloto is co-produced by Brian Eno, the popular English musician and ambient music specialist. The band first worked with Eno on their 2008 album, Viva la Vida or Death and All His Friends. Eno is largely responsible for the synthesizer-inspired sound of both albums. 5) How to properly say Mylo Xyloto. When the band first announced the name of their new album, they provided a pronunciation lesson, writing It is pronounced MY-lo ZY-letoe on Aug. 12. Still, Coldplay fans and critics alike have been scratching their heads. MTV recently took to the streets of New York to ask fans to pronounce Mylo Xyloto. But perhaps Stephen Colbert has the correct pronunciation and definition (he believes Mylo Xyloto is Greek for Miley Cyrus). Watch both videos below.